The main opposition Republican People's Party's (CHP) candidate is leading in the mayoral race in Istanbul, Turkey's most populous city, over the ruling Justice and Development Party (AK Party), the top elections authority said Monday morning. Sadi Güven, the head of Turkey's Supreme Election Council (YSK), said CHP candidate Ekrem Imamoğlu is leading with 4,159,650 votes over the AK Party's Binali Yıldırım with 4,131,761. Speaking to the reporters in capital Ankara, Güven said "so far a total of 31,102 ballot box results [in Istanbul] have been defined to the system, 84 ballot box results have not been completed because of objections." Yıldırım also confirmed Monday that Imamoğlu leads by 25,000 votes but the count is currently ongoing. 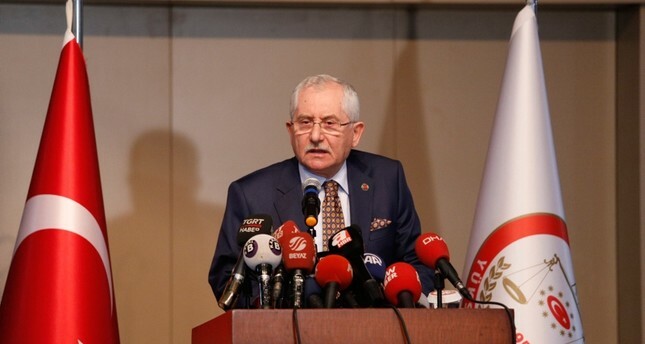 "There are 10 times more void ballots than the difference between my votes and Imamoğlu's; I will congratulate him if the election board YSK announces him as the winner but I must note that the counting process is still ongoing," Yıldırım told reporters in Istanbul, noting that there are some 300,000 ballots deemed void by local balloting committees. He added that there are 31,136 ballot boxes throughout Istanbul and if one vote was to be re-evaluated in his favor in each one, he could win since this number is greater than Imamoğlu's current lead. In Sunday's elections overall, Turkey's ruling party is leading with 15 metropolitan municipalities (larger cities) and 24 cities claimed by AK Party candidates, according to unofficial results. Millions of Turkish voters cast their votes nationwide on Sunday in elections to choose Turkey's mayors, city council members, mukhtars (neighborhood officials), and members of elder councils for the next five years.